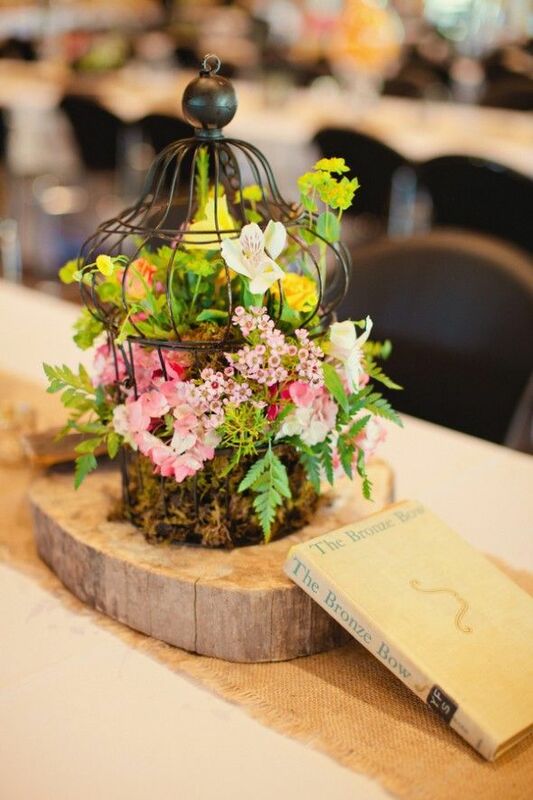 If you are looking for a cool wedding centerpiece that can be DIYed and won’t take much time or money to make, here it is! 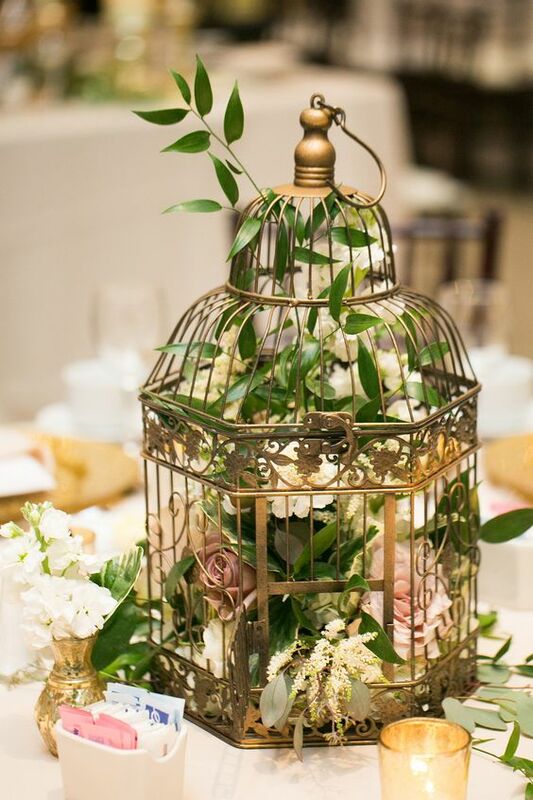 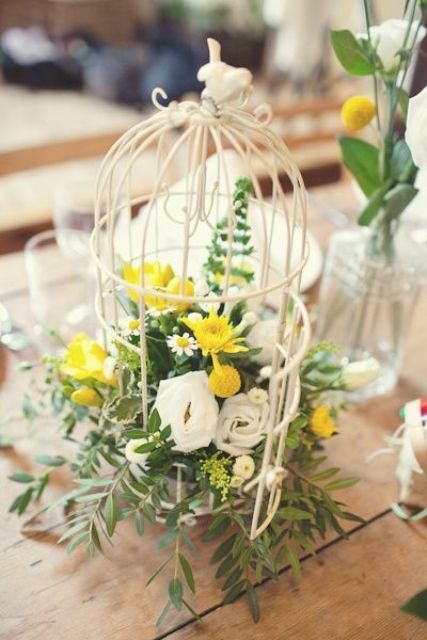 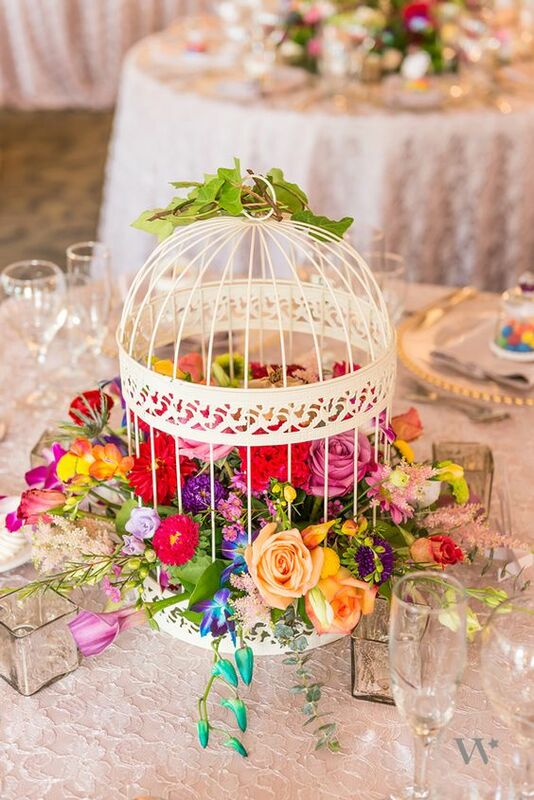 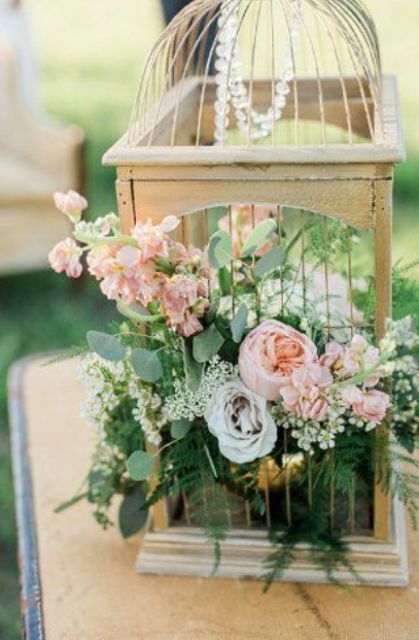 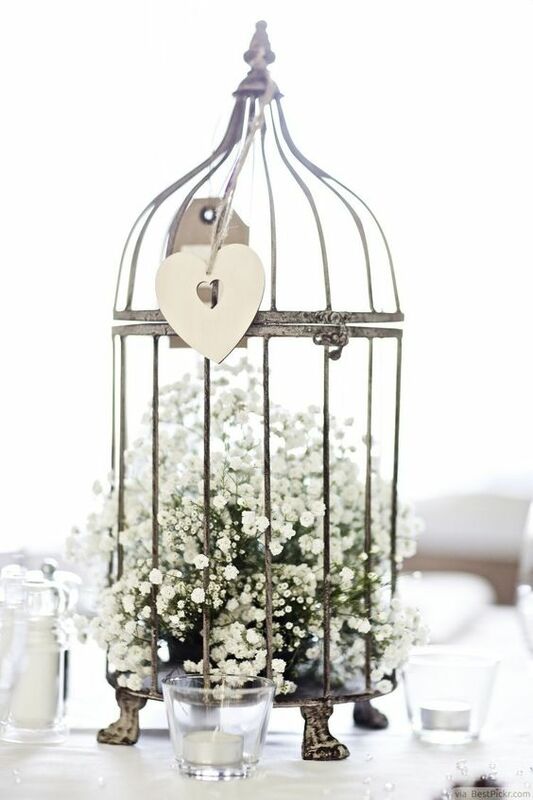 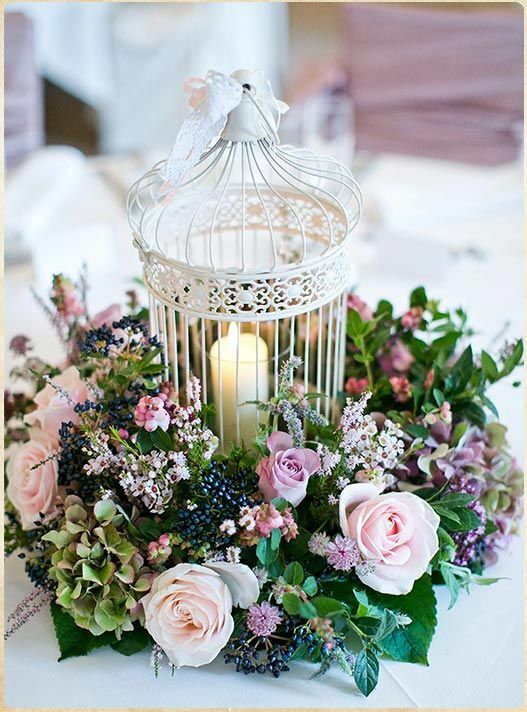 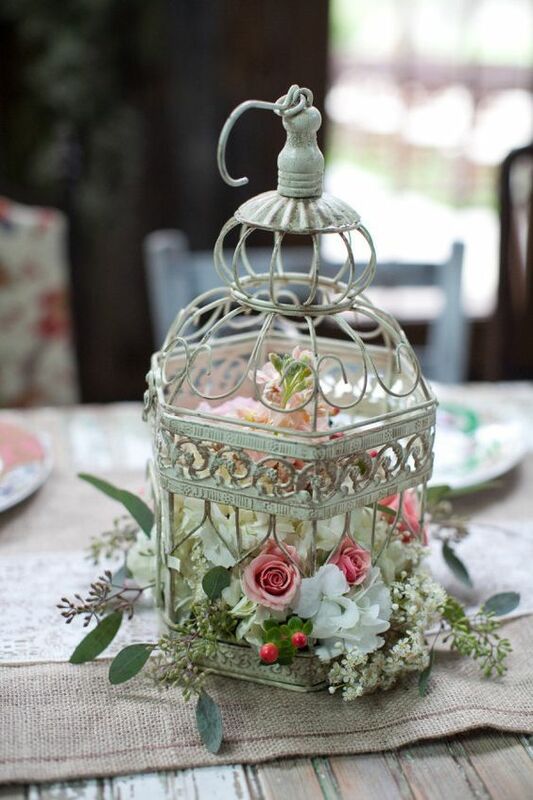 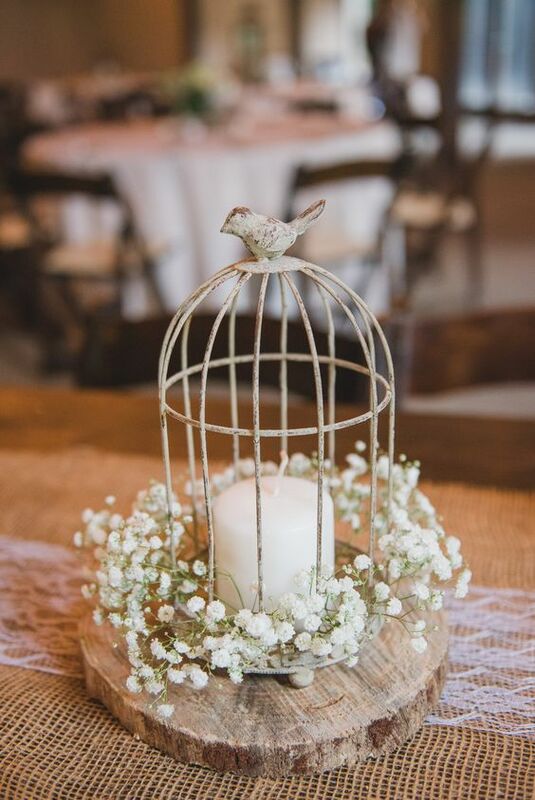 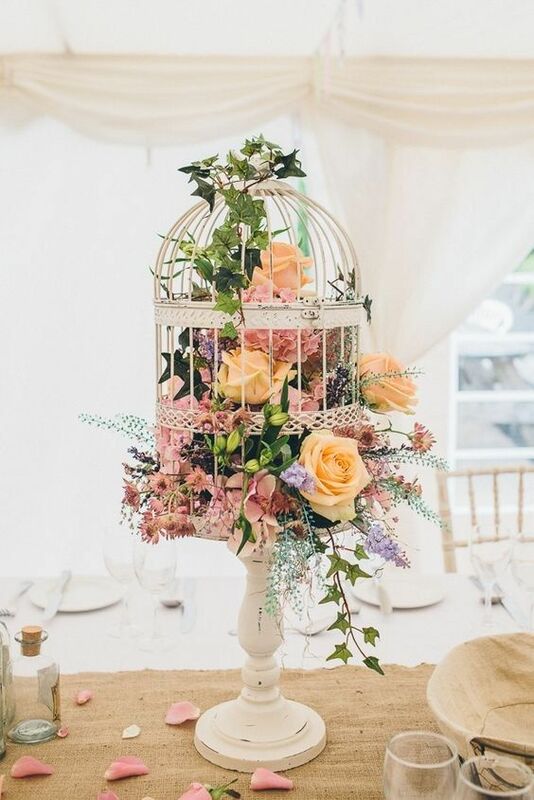 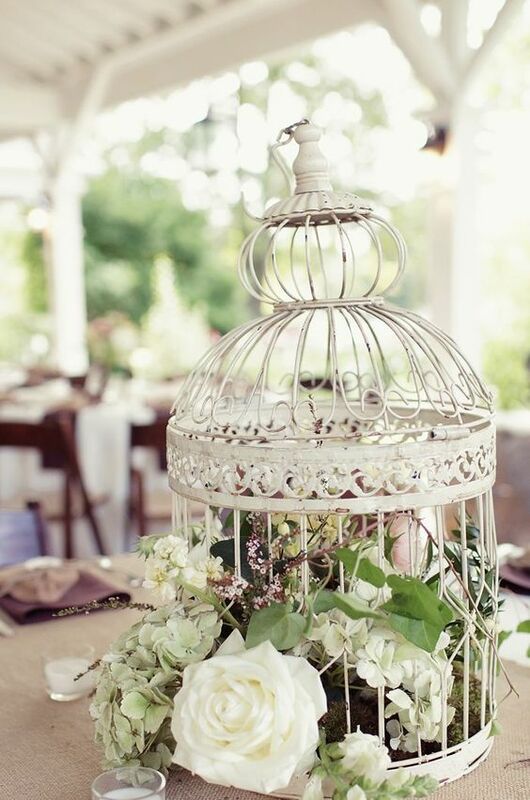 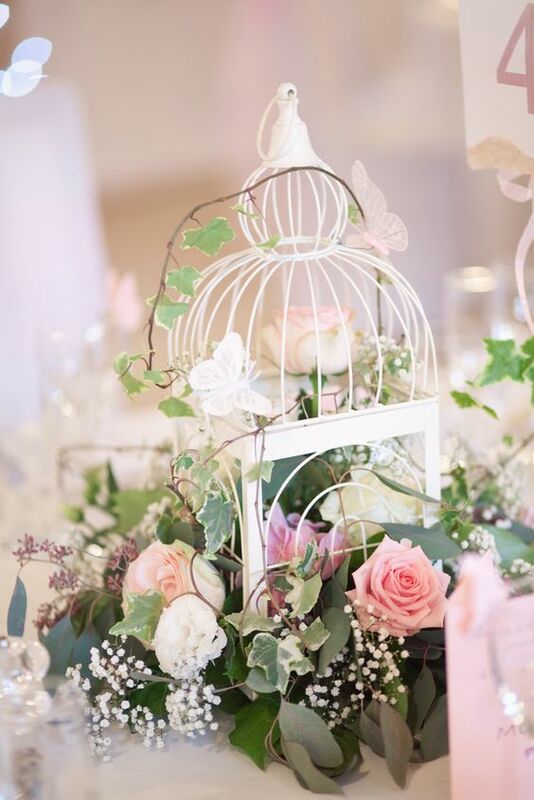 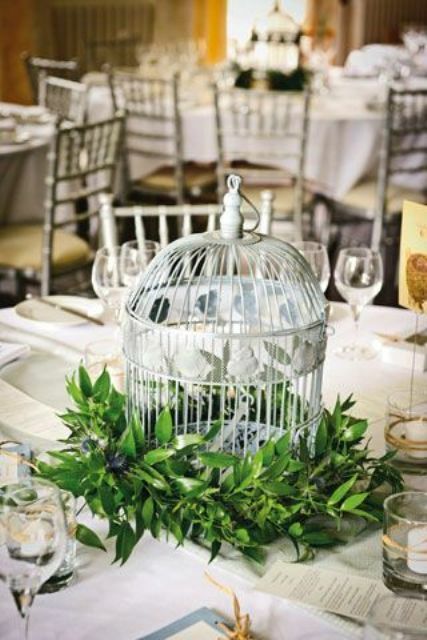 A birdcage is a perfect base for creating such a centerpiece, you can arrange different decor using it and it will easily match any wedding decor. 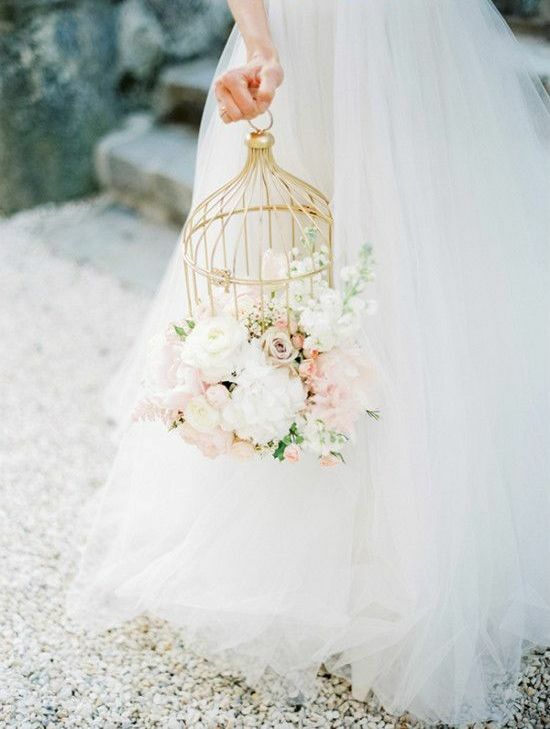 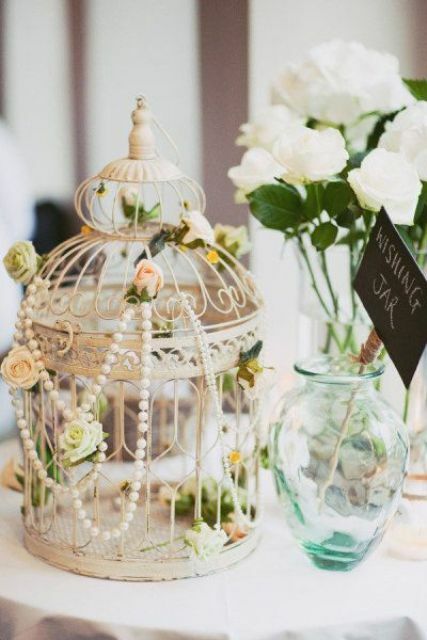 First of all, choose birdcages that fit your wedding style: white ones for vintage, rustic and garden weddings, dark shabby ones for steampunk weddings, gilded or copper ones for a romantic feel. 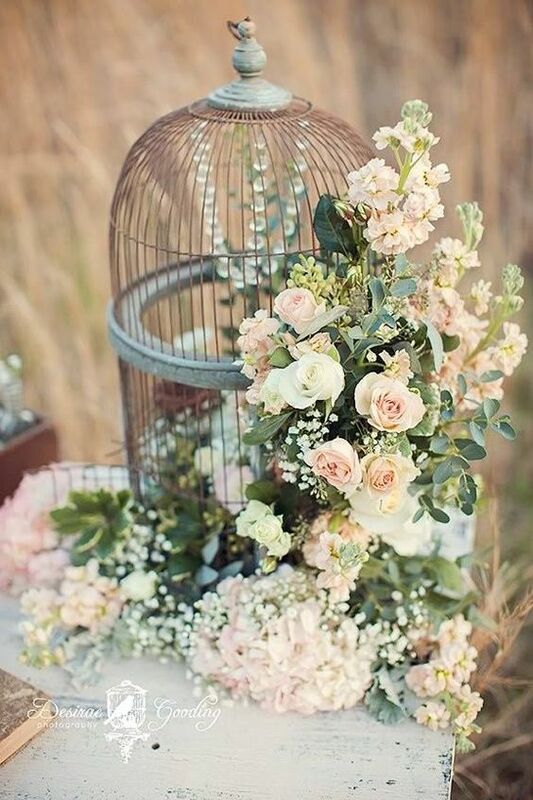 Now decide what you’ll arrange and how you’ll decorate them, the most popular idea is flowers but you can also go for moss, greenery, foliage, pearls, crystals and so on. 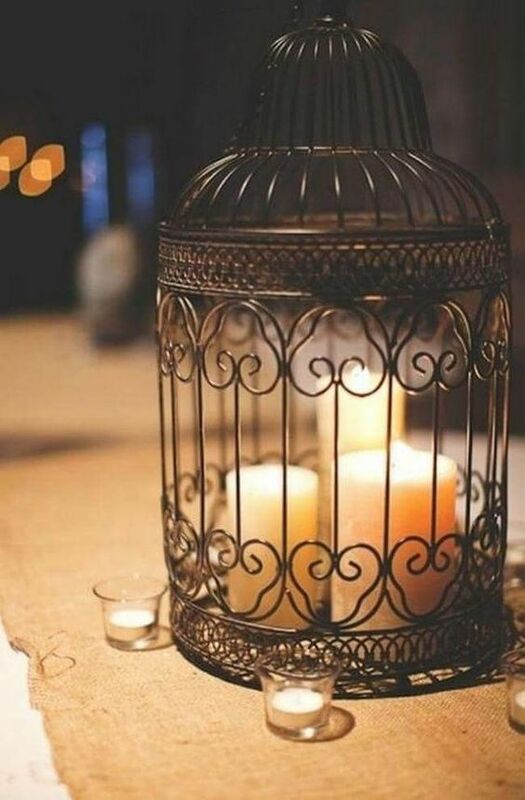 Let’s have a look at the coolest ideas. 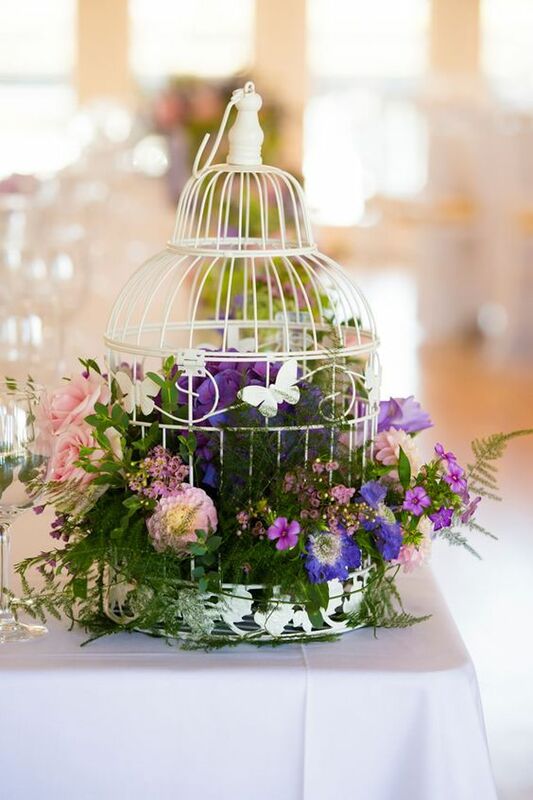 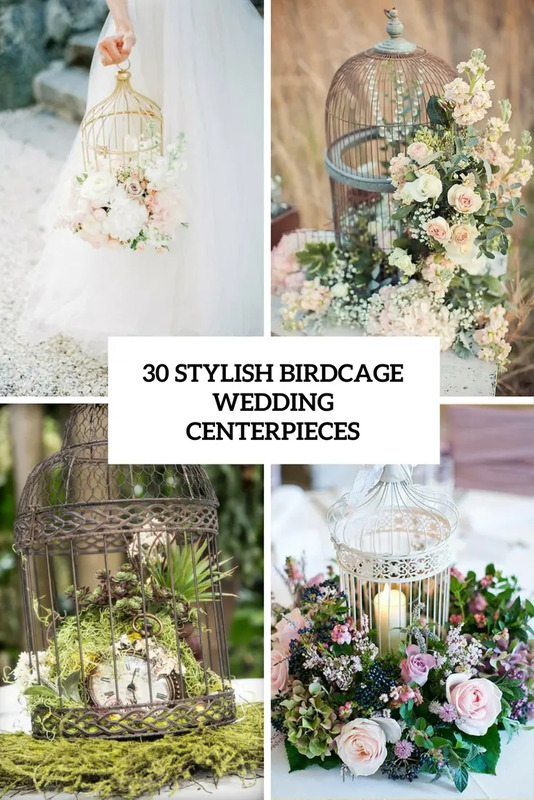 Birdcages are often filled with flowers and greenery of all kinds, and you can easily create such an arrangement yourself choosing flowers and foliage that fit your wedding style and decor. 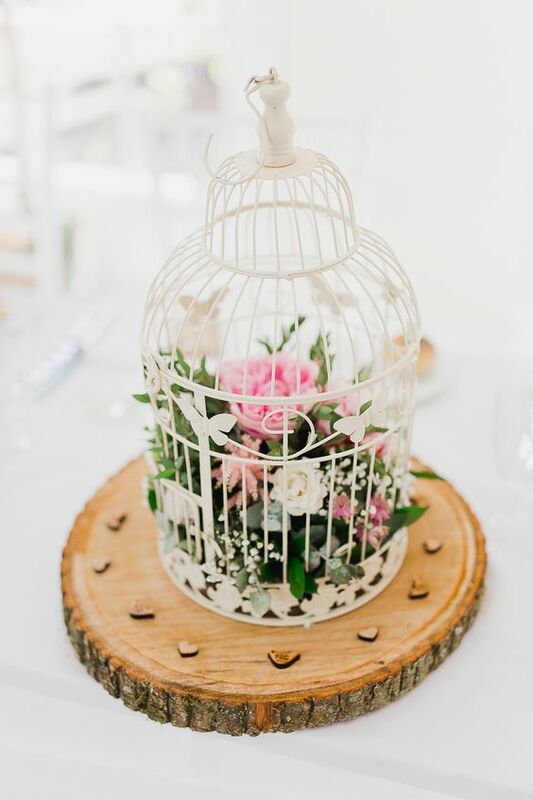 You may also add pearl strands and crystals on the outside, if it’s a rustic wedding, you can put your birdcage on a wood slice. 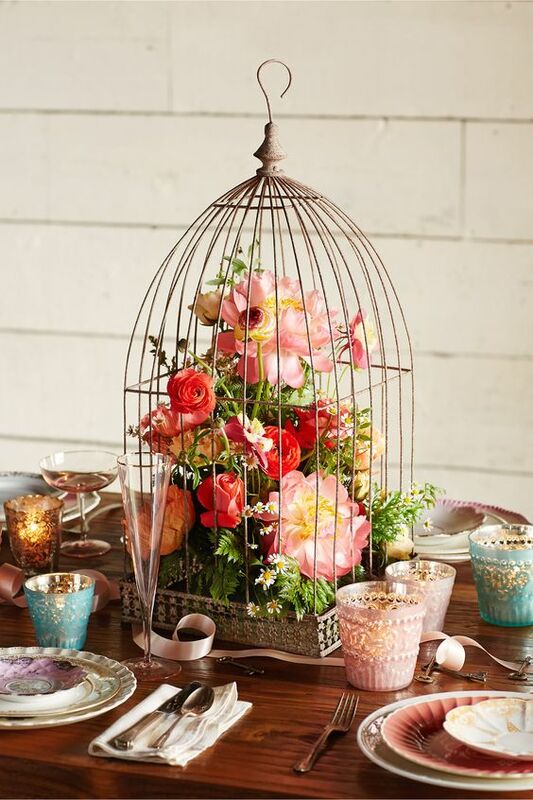 Choose the color of the cage according to your color scheme but keep in mind that neutrals and metallic shades work best of all, they match different colors of blooms. 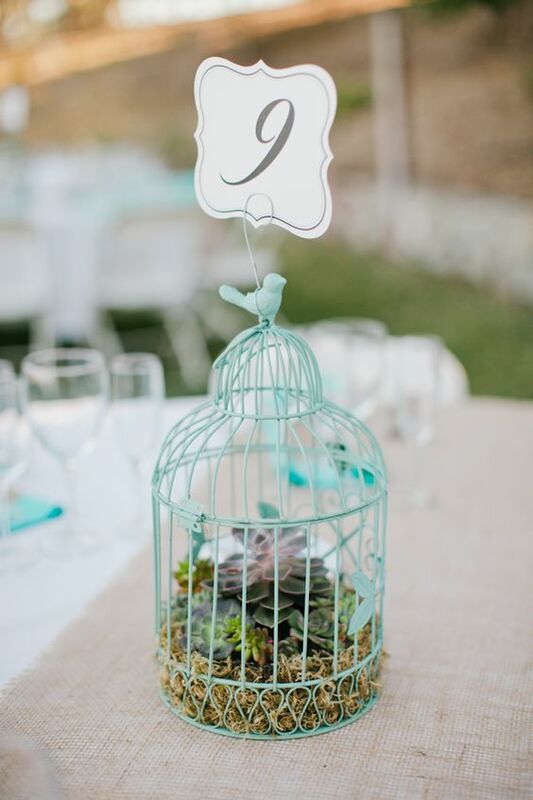 Rock colorful birdcages with moss and succulents – the latter are one of the coolest trends ever, and it’s popping up. 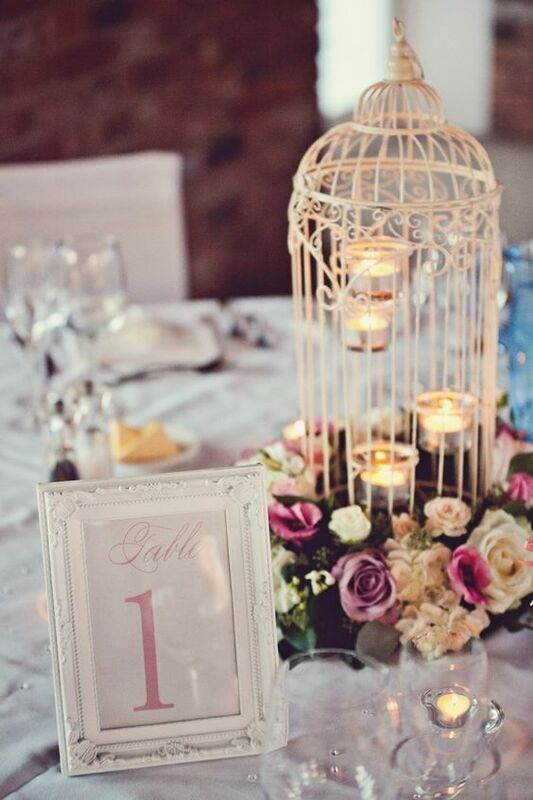 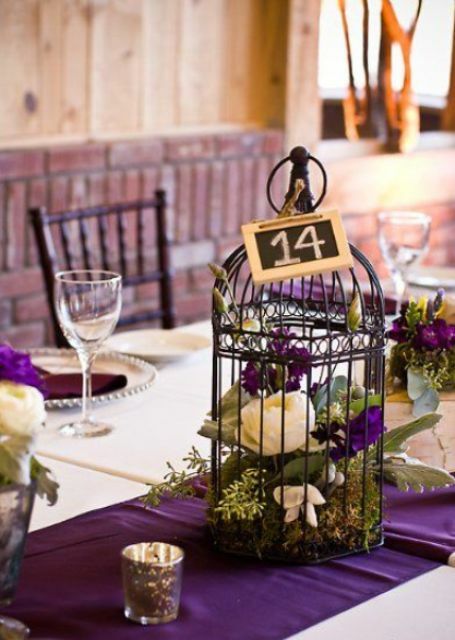 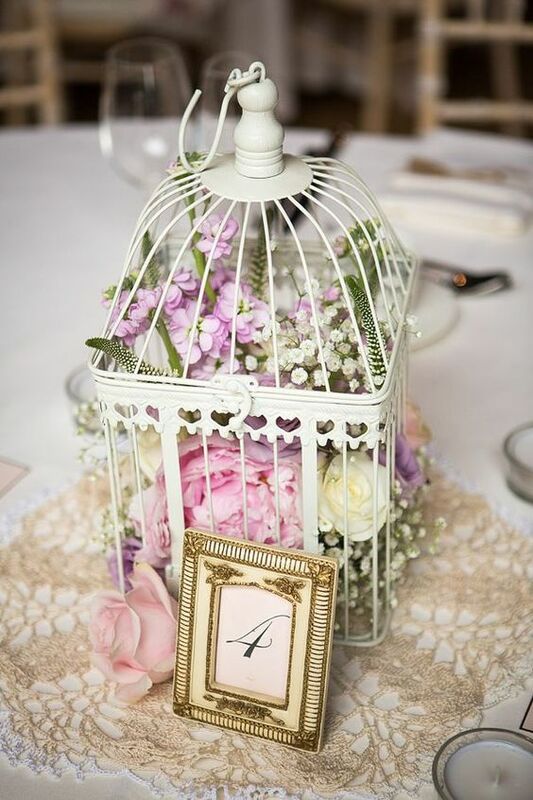 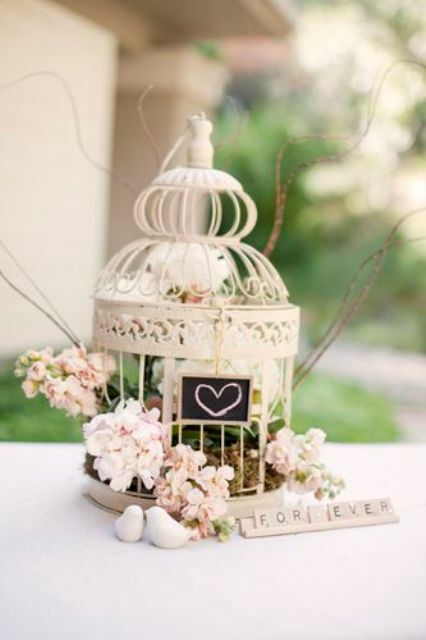 You can decorate a birdcage with crystals and pearl strands, add butterflies and birds on top or attach table numbers, for example, paper or chalkboard ones. 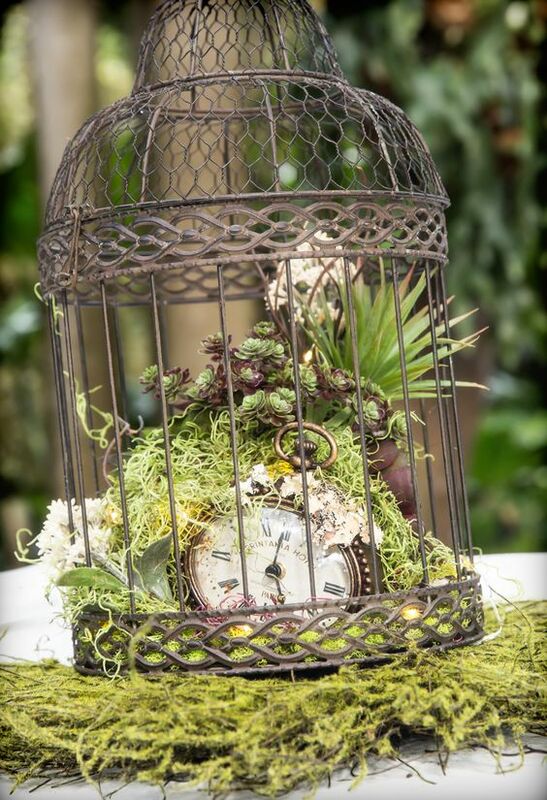 If it’s a vintage or steampunk wedding, you may add a pocket watch inside, and of course birdcages will be amazing candle holders. 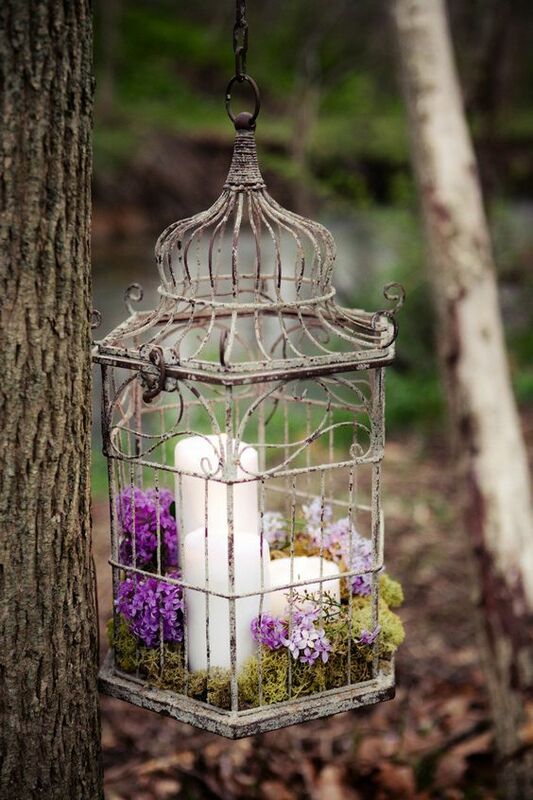 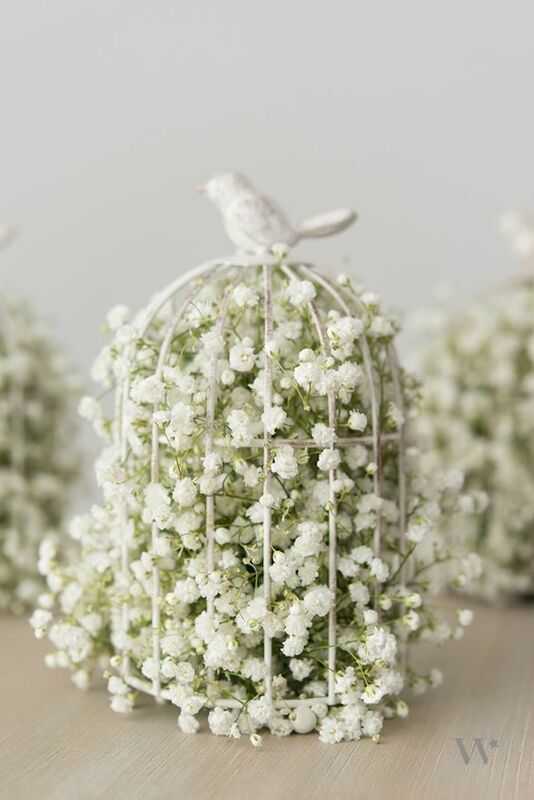 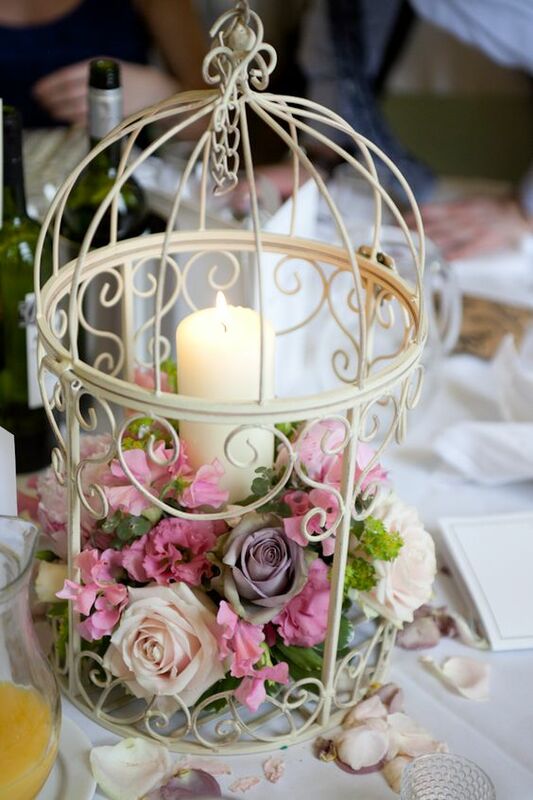 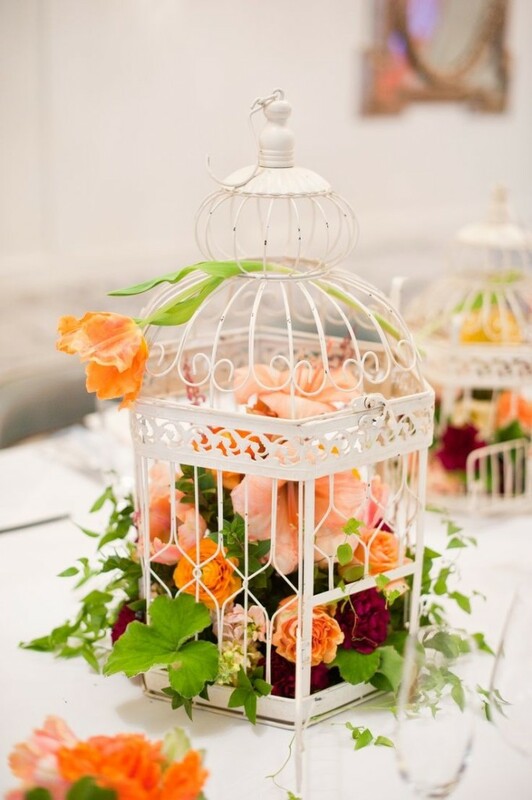 You can surround the birdcage with blooms and greenery but be careful not to burn the flowers.